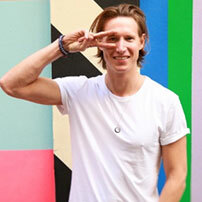 Benjamin is the Co Founder of a humanitarian organisation called indiGO Volunteers. indiGO Volunteers exist to help the most vulnerable people in the world. We get the right volunteers, to the right place, at the right time, who provide the vital skills needed by the humanitarian projects we work with. Our work covers emergency humanitarian crisis’s on the front line, and long term sustainable development projects including education, healthcare, economic & human rights.There is much to do and we have a bold vision for the volunteering sector. We believe we can increase the number of volunteers ten fold, and treble the effectiveness of those volunteers. The impact and ripple of this will be truly ground breaking.